Washington (AFP) - The Organization of American States' chief questioned Tuesday whether legislative elections next month in Venezuela will be transparent and fair. 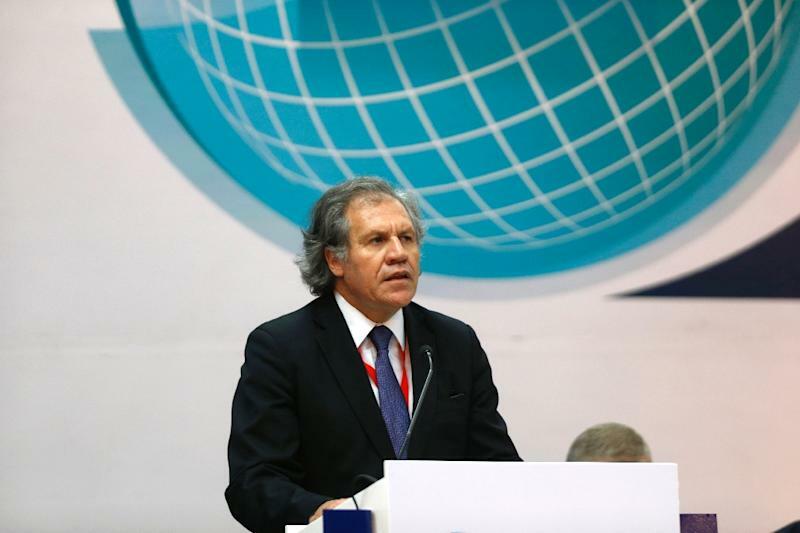 OAS Secretary General Luis Almagro said in an 18-page letter to the head of the Venezuelan election commission that conditions for the vote "do not ensure transparency and electoral justice." Last month Venezuela rejected a request from the OAS to send an observer mission to monitor the December 6 elections, which polls say the opposition might well win. Almagro said problems reported as Venezuela gears up for the vote include the fact that opposition leader Leopoldo Lopez is in jail. Opposition parties are having trouble getting air time on media, he added. Some opposition candidates have been disqualified, and opposition parties also have trouble getting access to campaign funding, Almagro wrote. "We would be sorely lacking in our job if we did not take into account the conditions in which the election campaign is taking place in Venezuela," Almagro wrote. "It is worrisome that, through an analysis of those conditions we must conclude that, as of now, only opposition parties are having problems," he added. The Venezuelan opposition has repeatedly asked for an OAS presence during the election, the OAS chief said. The Venezuelan election comes with the oil-rich country's economy a mess, amid shortages of basic goods and runaway inflation.